How many times have you sat down at a restaurant and immediately flipped through the menu to check out the desserts? There’s one dessert that I always save room for, no matter how delicious the food is. I’m talking about creme brulee. If it’s on the menu, I order it. Period. 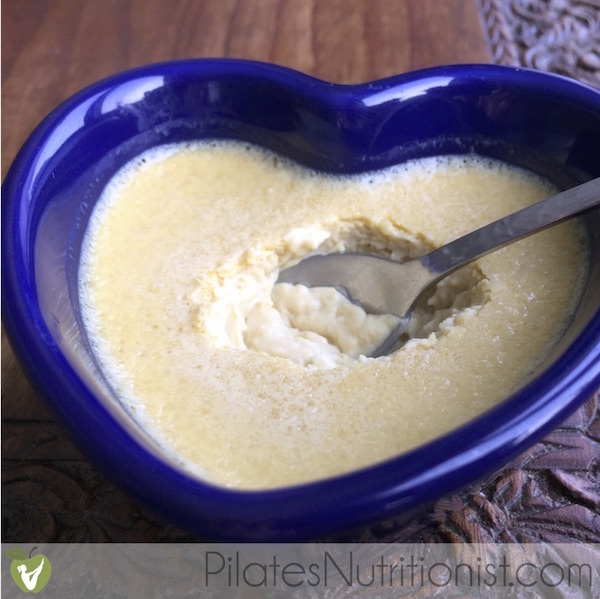 Luckily it’s really easy to make at home, and since it’s full of healthy egg yolks and cream, it doesn’t give me the typical sugar high that I get from other desserts. But today I’m not sharing a recipe for creme brulee. 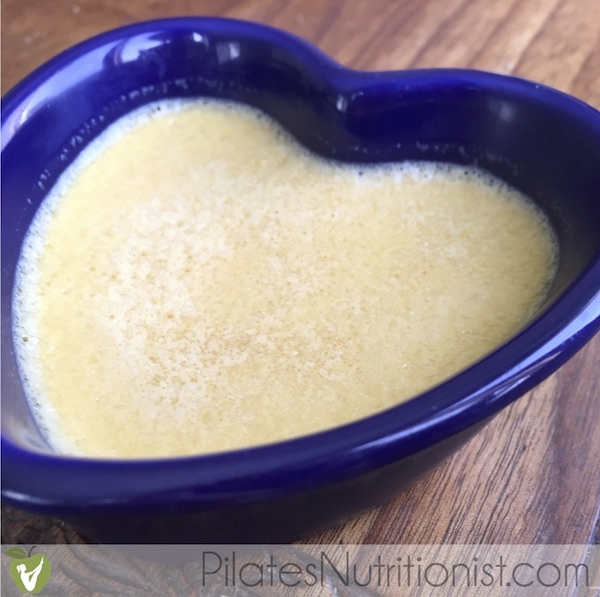 Rather, I’m featuring a dessert very similar to creme brulee called pots de creme that happen to take way less skill and taste just as amazing. My recipe for Maple Pots de Creme features 5 (optionally 6) ingredients and is sweetened entirely with maple syrup. You can even make them dairy-free by subbing full-fat coconut milk for the cream! Preheat the oven to 300 degrees. Place 4 ramekins in a rimmed baking dish, such as a brownie pan. Combine the cream, maple syrup, and salt in a small saucepan. Heat until it comes to a simmer. Turn off heat. 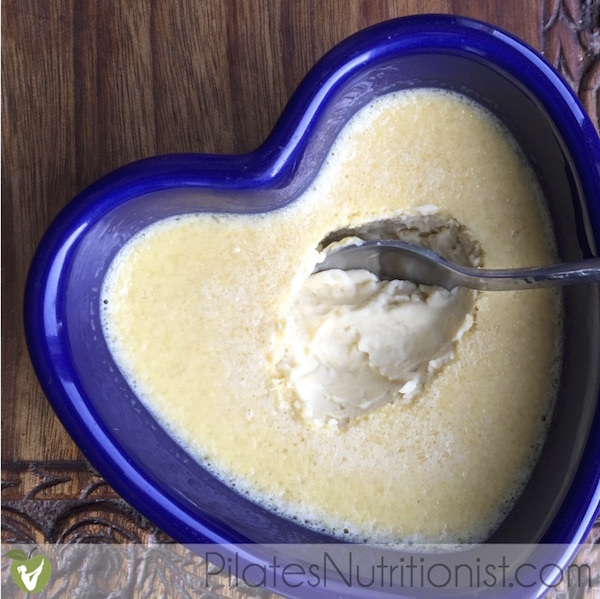 In a medium bowl, whisk together the egg yolks and vanilla extract (and, if using, the maple extract). Temper the egg yolks - Using a small ladle, add some hot cream to the egg yolks a few tablespoons at a time (this prevents the egg yolks from scrambling). Once you’ve added ~1 cup of cream, pour the rest of the cream into the bowl and whisk to combine. Using a ladle, pour the mixture into ramekins (8oz wide mouth Mason jars work well if you don’t have ramekins). Carefully pour enough hot water into the rimmed baking dish to come halfway up the sides of the ramekins. Bake until the edges are set but the center jiggles slightly, 45-50 minutes. Remove the ramekins from the water bath and cool to room temperature. NOTE: For the fellow creme brulee junkies - you can easily brulee these. All you have to do is add the sugar layer, use a blow torch (or crank up your oven to broil) to evenly caramelize the sugar and wait a wee bit longer to dig in! I think I’ll stick with the pots de creme and save the fire danger for another day. I think these little heart-shaped ramekins are perfect for Valentine’s Day (or just a date night), don’t you? Now I’d love to here from you in the comments below! 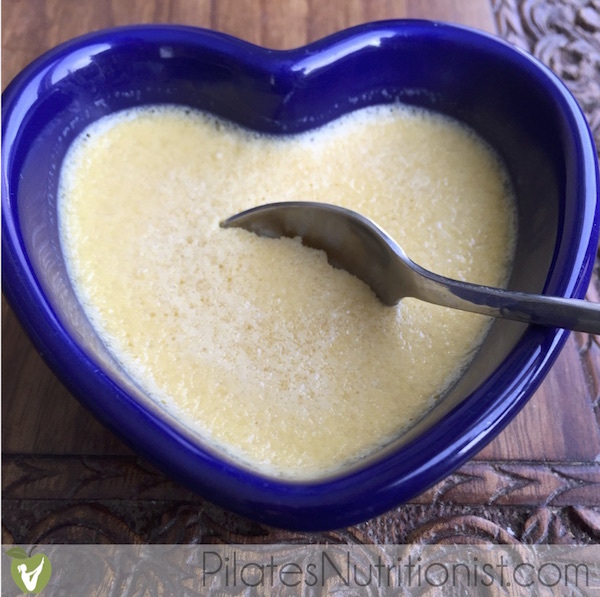 Have you ever made pots de creme or creme brulee before? It’s so melt-in-your-mouth delicious, Cassie. Enjoy! Sounds yummy and fancy! Never made pots de creme or creme brulee. My kids are into chocolate so not sure they’ll appreciate this but definitely a dessert for adults to try. Thanks for sharing! I love pots de creme! Or any custard basically! I’ve totally been on a custard kick lately so I’m totally making these! I am THE SAME about creme brûlée in restaurants! Love, love, LOVE the stuff and will order it EVERY TIME! This recipe looks great — I think have everything on the ingredient list in my kitchen, so I’ll be trying this soon. Thanks for sharing! Oh I hear you, Jen… CAN’T. NOT. ORDER. IT. Fixed these for my family for Valentines tonight… It was a hit! Thanks! Just made these and they were seriously delicious – adding it to my recipe collection! Sometimes the simplest ingredients make the best desserts. So glad to hear you enjoyed the maple pots de creme, Lina!